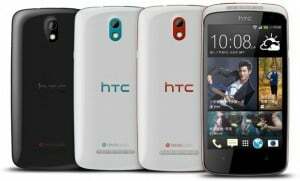 HTC has introduced some new devices in the Indian market this year. Its two latest smartphones has undergone a price drop. HTC One Mini can now be purchased for Rs. 37,299. Where as, its Desire 500 smartphone is available for Rs. 21,490. Both the devices have been listed on Flipkart, a popular online shopping store. Let us have a look at some of the specifications of these two smartphones. * It sports a capacitive HD touch display of 4.3 inches, 1280 x 720 pixels resolution and pixel density of 341 ppi. * It works on a Qualcomm Snapdragon 400 dual core processor of 1.4 GHz. * HTC One Mini functions on Android 4.2.2 Jelly Bean OS with HTC Sense 5. 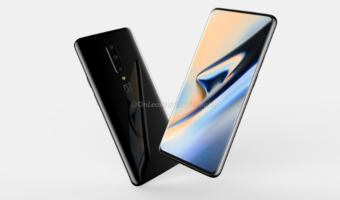 * It contains a RAM of 1 GB and internal storage capacity of 16 GB. * It comes with a primary camera of 4 MP and 1.6 MP front facing camera. 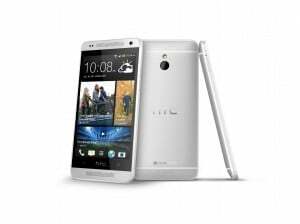 * The connectivity features included in HTC One Mini are Bluetooth 4.0, Wi-Fi, GPS with GLONASS, DNLA, NFC and 3G HSPA. * This smartphone runs on a battery of 1800 mAh. * It is a dual SIM smartphone that supports GSM SIMs. * It sports a capacitive touch display of 4.3 inches, 480 x 800 pixels resolution. * It works on Qualcomm Snapdragon 200 quad core processor of 1.2 GHz. * HTC Desire 500 functions on Android 4.1 Jelly Bean OS with HTC Sense 5. * It contains a RAM of 1 GB, internal memory of 4 GB and expandable memory of up to 64 GB. * It comes with a primary camera of 8 MP and a 1.6 MP front facing camera. * The connectivity features included in HTC Desire 500 are Bluetooth 4.0, Wi-Fi, NFC, DLNA, GPS and 3G HSDPA. Our take: Overpriced is the word for both the smartphones. They come with specifications that can be had in other devices for a way less amount. If I was in the market for buying anything in either of these budgets, I would not go in for them. Great devices but overpriced. Currently the HTC One has been discontinued on flipkart and several other online stores because of a software fault in the camera of htc one.And several people in india who have bought htc one have complained about the same.So yes you do not have htc one available right now and even if you find one there are high chances of it being faulty and as far as software upgrades are concerned htc has already rolled out android 4.3 update for the international htc one. @Ritij Khurana ….. Are you sure that HTC DESIRE 500 (Indian Version) has NFC in it ?